The KITCHEN KNIGHT II Restaurant Kitchen Fire Suppression System is a pre-engineered solution to appliance and ventilating hood and duct grease fires. 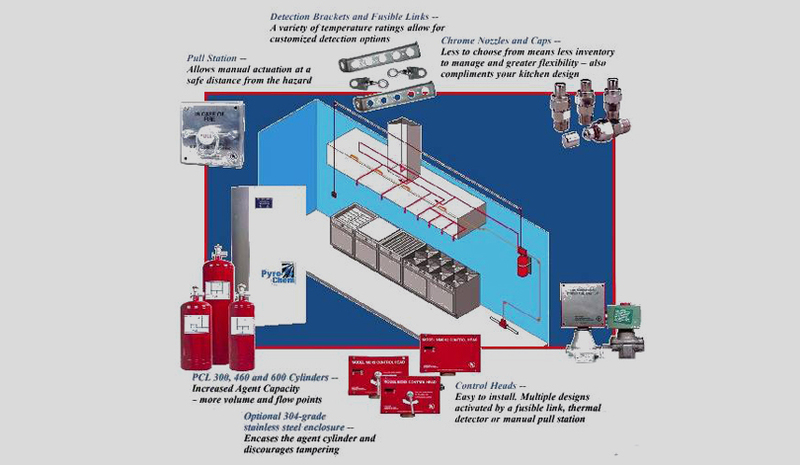 The system is designed to maximize hazard protection, reliability, and installation efficiency. Automatic or manual system activation releases a throttle discharge of potassium carbonate solution on the protected area in the form of fine droplets to suppress the fire and help prevent reignition after the discharge is complete.